With the word OKAN signifying “heart" in the Afro Cuban religion of Santeria, this powerful women-led ensemble shares the soul of contemporary Cuban roots music. Infusing Afro-Cuban traditions with jazz influences, global rhythms and classical forms, OKAN’s powerful vocals, incredible musicianship and potent lyrical content contribute to the evolution of Cuban music outside Cuba. 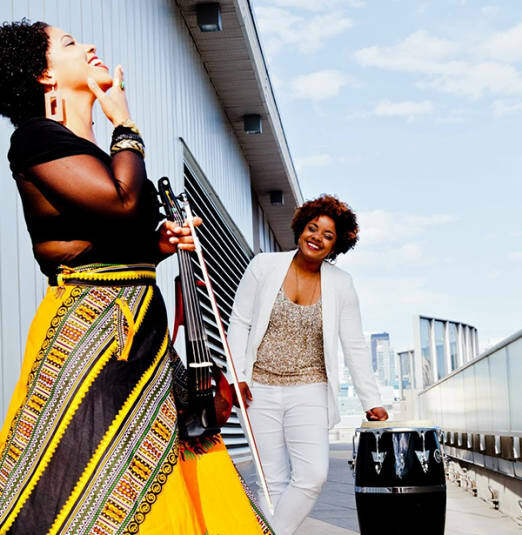 Embracing musical genres and roles that have historically been dominated by men, co-leaders, composers and multi-instrumentalists Elizabeth Rodriguez and Magdelys Savigne are Grammy and JUNO-nominated for their contributions to Jane Bunnett & Maqueque and The Battle of Santiago.